Everything you need to know about this new Sniper. Our Fortnite: Battle Royale Hunting Rifle guide contains everything you need to know about the new Sniper Rifle, with stats and strategy advice to help you master this weapon. Fortnite’s patch V.3.1.0 has brought with it a slew of exciting new changes, as well as a brand new Sniper Rifle - the Hunting Rifle. It’s the first Sniper without a scope to feature in the game and definitely packs one heck of a punch. 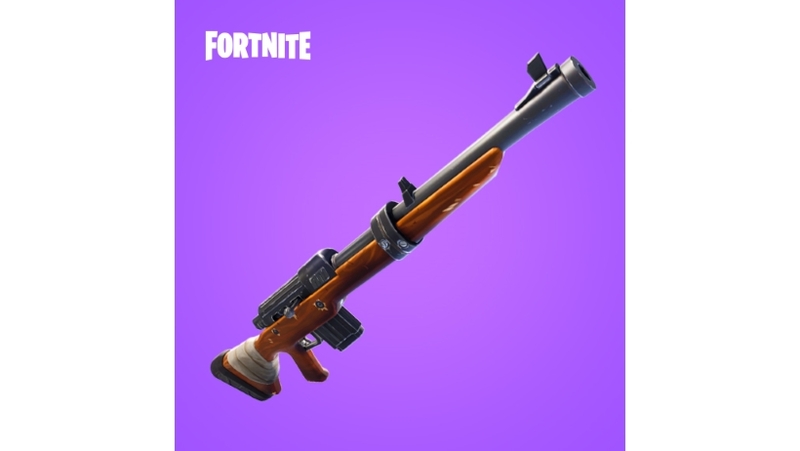 While all the other Sniper’s in Fortnite: Battle Royale are optimised for long range engagements and require you to zoom in heavily before firing, the Hunting Rifle separates itself from the pack by being a mid-range monster that’s capable of dropping opponents without feeling cumbersome. The Hunting Rifle’s a weapon that straddles the boundaries between a Sniper and an Assault Rifle, and we can already tell that it’s going to be a hit with the Fortnite crowd. Below we’ve put together a guide that’ll help you get to grips with this new weapon. If you're after info on the Jetpack, we've compiled everything we know into our Jetpack guide, so make sure you give it a read once you're done here! Here’s a breakdown of everything you need to know about this new Sniper Rifle. We'll update this stats table as soon as we've got the info, bear with us! It’s a bolt-action weapon that reloads a round in-between each shot. You can find this weapon in Chests of Loot Crates. The Hunting Rifle takes Heavy Bullets. It doesn’t have a scope but you can zoom in a little. Can be used in mid to long range engagements, but starts to suffer when getting up close and personal. It’s also a Sniper Rifle in the PVE “Save the World” mode. Some pointers to help you get to grips with the Hunting Rifle. We wouldn’t recommend using this weapon for long range engagements as it lacks a sufficient scope. It’s far better utilised at short to mid-range fights where you can clearly see your opponents. It goes without saying, but always go for headshots wherever possible. As the Hunting Rifle has to reload a round between every shot, make sure take the time to line up your shots before pulling the trigger. You’ll be vulnerable for a second after firing, so duck behind cover or switch to another weapon if the enemy begins closing the gap. There’s an element of bullet drop, so take this into account when shooting target in the distance. If you’re feeling confident, it’s entirely possible to double up this weapon and quickly switch between them after every shot to avoid the reload delay. Try and avoid using this weapon at very close range. Miss a shot and you’re likely to be punished heavily when reloading. For a look at this weapon in action, we’ve embedded a video by Ninja who, it's safe to say, is quite good at the game. The Hunting Rifle’s announcement came as a huge surprise and first appeared over on Fortnite: Battle Royale’s subreddit. Initially, Epic was planning on releasing the Jetpack at the beginning of March, but due to a last minute design issue it has decided to delay the launch and bring us a brand new Sniper Rifle instead. Also included in the announcement is a hint towards a “new, lucky point of interest on the map”. Perhaps it’s a Sniper tower to compliment the weapon’s release? We’ll have to wait and see! 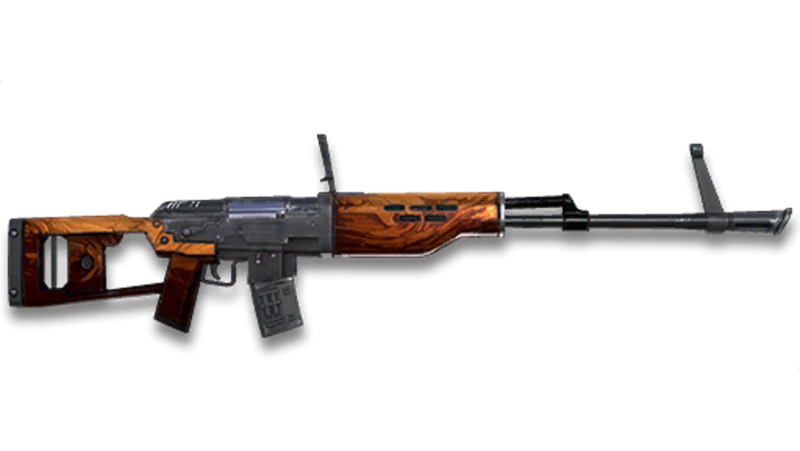 That’s all for the first edition of our Hunting Rifle guide! We’ll be updating this article as soon as we've got some more hands on time with the weapon, so check back soon.